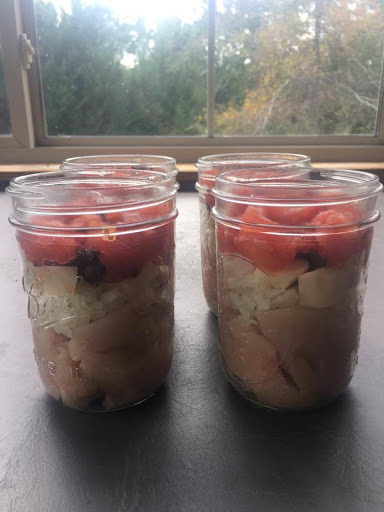 I’m still working on meals in a jar for quick lunches, but you will be happy to know that I’m not posting all of them right now HA! This is a recipe I tried, because the baby daughter loves anything curry. Why not put something on the shelves that she will love?!? Prepare your pint jars by washing and sterilizing. Ackkkkkkkkk! I forgot to add my tomatoes! 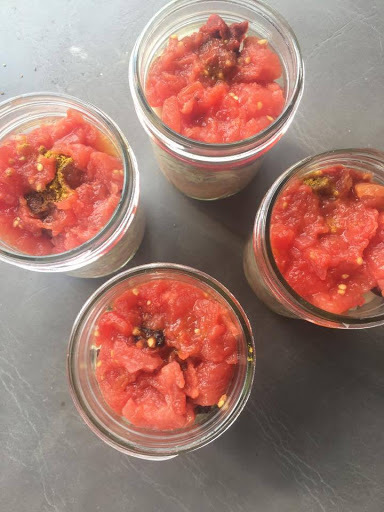 Place your prepared 2 piece lids onto the jars, and process in a pressure canner for 75 minutes at the pressure required for your location. PLEASE READ THE MANUFACTURER’S INSTRUCTIONS FOR OPERATING YOUR PRESSURE CANNER. * Garam Masala is an Indian spice that I seldom use. So rather than making a special trip to the store and spending big $’s for this spice, I looked up the “main” ingredients and made my own concoction. I kept it simple and used 1/4 teaspoon each of cinnamon, ground cloves, cumin, and paprika. This probably tastes nothing like garam masala, but it worked for me. Now, all I need to do is decide what to serve with this….